This Anna Sui fashion case utilizes a combination of polycarbonate and TPU materials to protect your Apple iPhone 5, 5S, or the new 5 SE cell phone. The raised bezel offers an additional line of defense for your phones display. 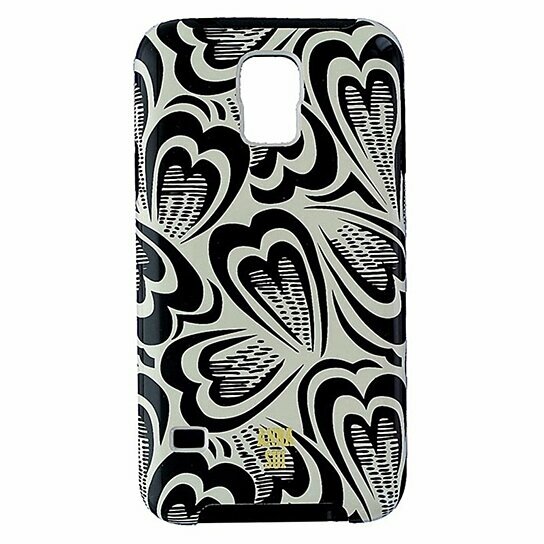 Beige and Black Hearts Pattern glossy finish on outter shell and all black soft inner layer.